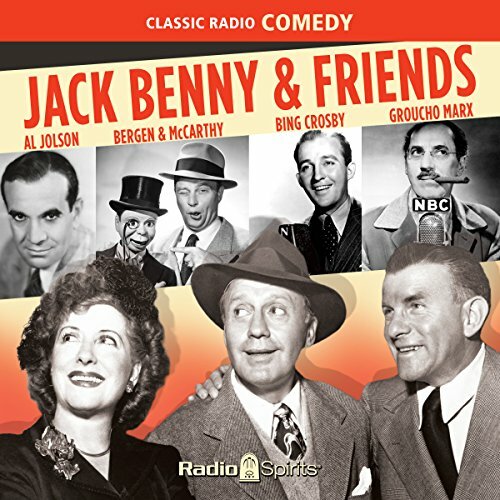 Showing results by narrator "Groucho Marx"
Jack Benny - he's your friend, my friend, and everyone's friend besides! He's always got his tried and true gang to pal around with, too, but that's not all! Throughout the 1940s and '50s, buddies from Burns & Allen to Bogie & Bacall came to play on his program. There were hilarious guest appearances by kings of comedy (Groucho Marx, Danny Kaye, and Red Skelton) and queens of the screen (Rita Hayworth, Barbara Stanwyck, and Dorothy Lamour).